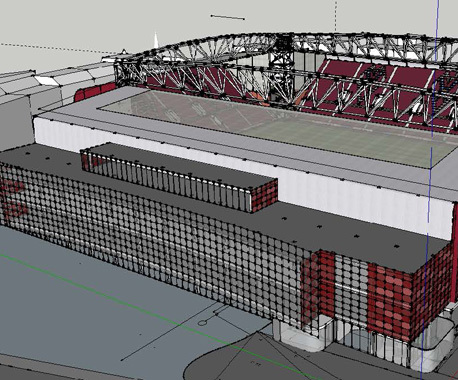 RMP undertook a noise impact assessment and acoustic design advice for the proposed new main grandstand at Heart of Midlothian Football Club’s Tynecastle Stadium. The new main grandstand will provide seating for approximately 7,000 spectators. The overall stadium capacity will rise from 17,529 to approximately 20,000. The new stand will include office space, club shop, ticket office, player and official facilities, lounges and new accommodation for the existing Tynecastle nursery. The third floor will have the main fine dining lounge with a capacity of 80 people. The diners will also, during periods of good weather, have access to the third floor terrace.